Thanks for the update. I considered going in on our way back from home BRC. Figures now that we have a camper on the truck for BRC it can't make it in. Good thing I still got the Jeep. I hated the last time I took South Pass so for now it's Steel for me. If you guys need volunteers for recon, road work I'd be happy to help. WOW, incredible pics! Thanks for taking them SilverBob. I hope they can make the north pass passable before November! That chasm is huge. The power of nature is amazing. My hat is off to you and your crew for making it across. Thank you for the report and photos. Sad to see the Wizard pool so green. It will get some TLC asap. Mama says let Darwin theory work. Let the idiots fill the ditch. It's ok w me. Good point! I should just post exactly how to get through. That way the washout will soon be filled with the vehicles of the unprepared and incompetent. After we "catch" 40 or 50 of them, we could just spread a foot of dirt over them and have a brand new road. You are BRILLIANT!! 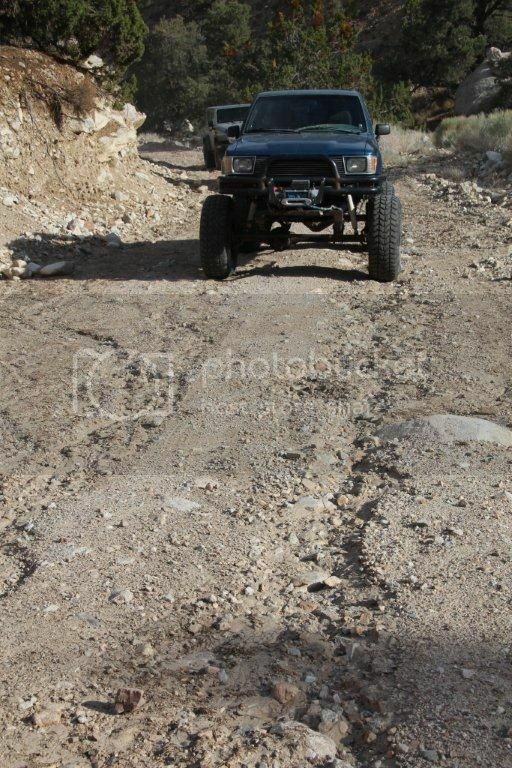 Regretfully,the ditch is past the mine, so the county will be inclined to fix the road soon. So, what makes one privy to the secret path where you crossed? Why is this knowledge is limited? Per Lizard Lee's request, I'm not telling exactly how we got over, but it should be obvious if you go out there and look at our tire tracks. All I'm saying is that a good spotter is essential! Bob your killing me. I know where you went down but where did you climb out and what did the first one through hook the winch too. Don't be thinking the body Damage is a badge of honor!! Note to self get lockers, a winch. 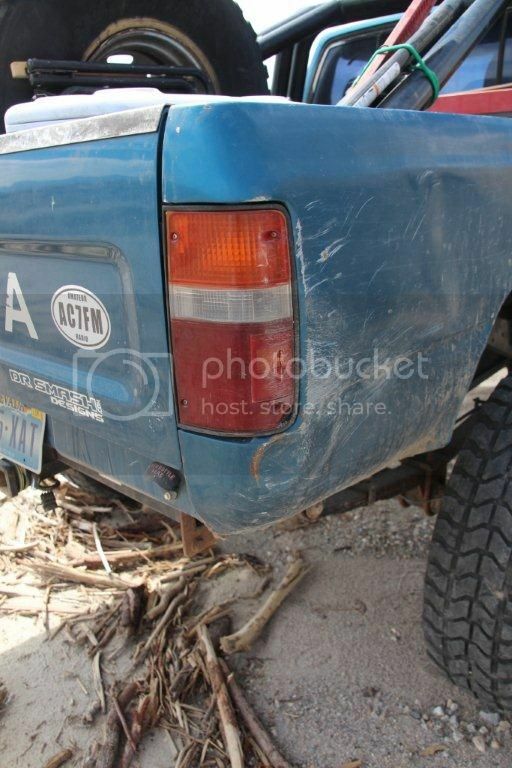 roll bar and a straight axle. I like your Pics they really show the drop off better than mine with the rigs up there. I got home a few hours ago from the promised “Recon Trip” in the North Pass. First, big thanks to Ken, Mark and Deb for volunteering to come along. Only a fool would attempt this trip alone at this time of year. 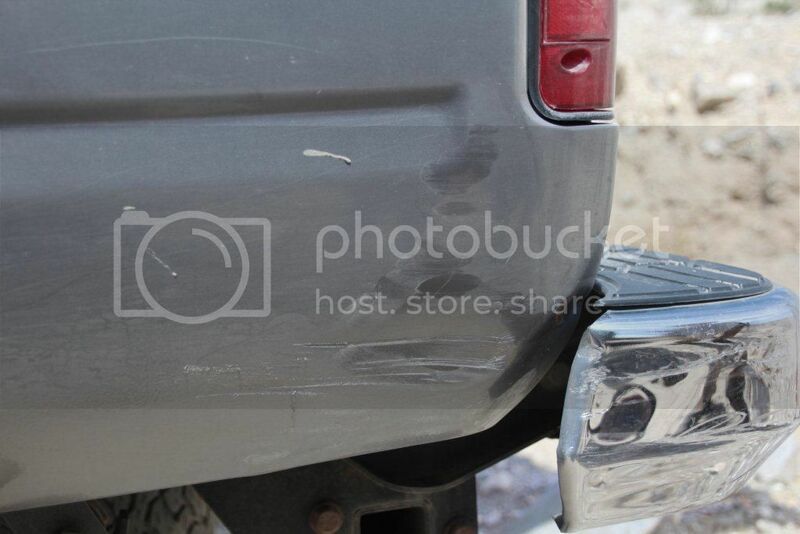 A convoy of experienced drivers in capable rigs made this no more dangerous than a trip to the mall in Chicago. 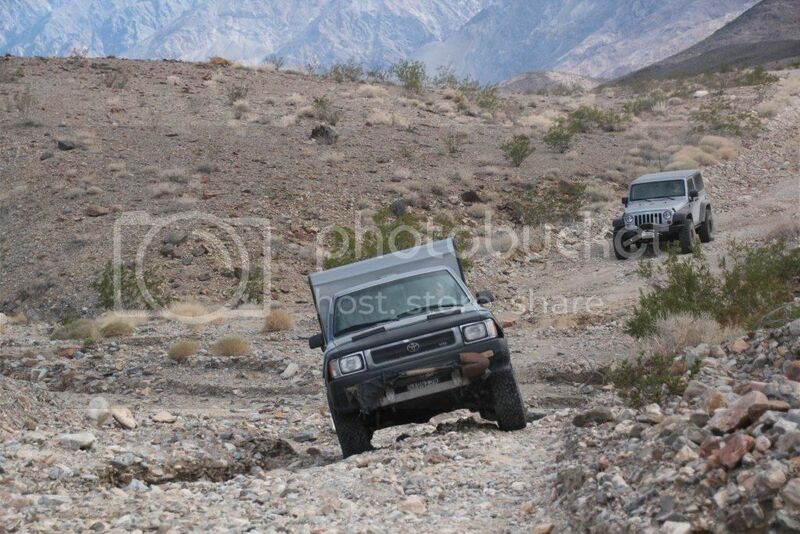 We rolled out of Big Pine Saturday morning, shortly after 06:30. 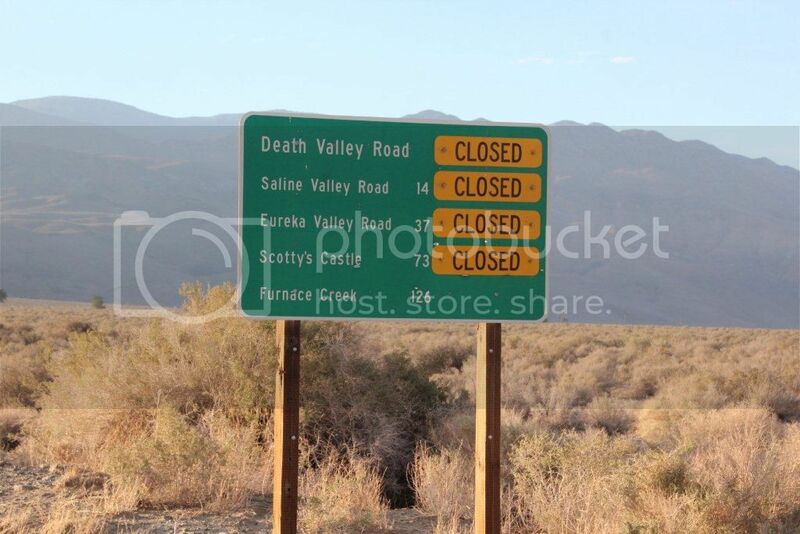 At the turn off from 168 to the Death Valley Road, we found the expected sign. At the top of the hill, where the Saline Valley Road turns off, Inyo County has placed a Road Closed sign and a couple traffic cones. Oddly enough, they set another one blocking the paved road leading to Eureka Valley. I've never seen that road closed this far back before. That'll have to wait for another trip. 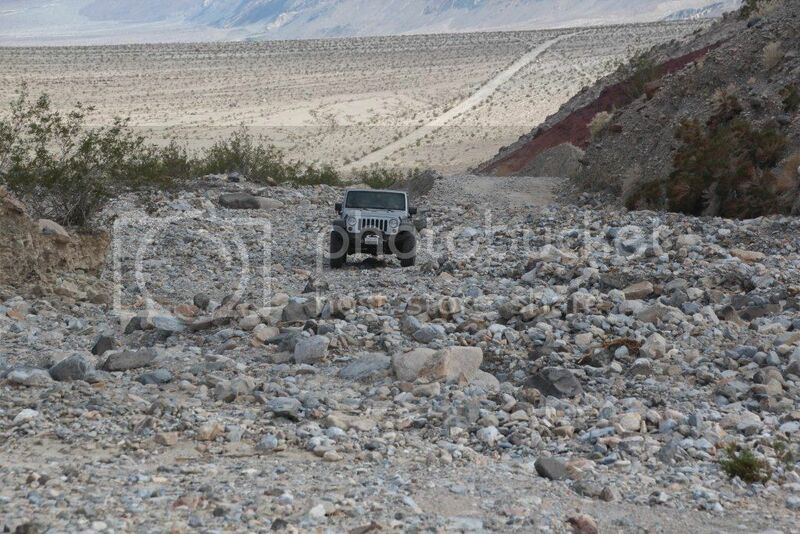 The county must have graded the Saline Valley Road just before the rain hit. From the start, through Marble Canyon, all the way to the top of Whippoorwill Canyon, the road is as smooth as I've ever seen it. 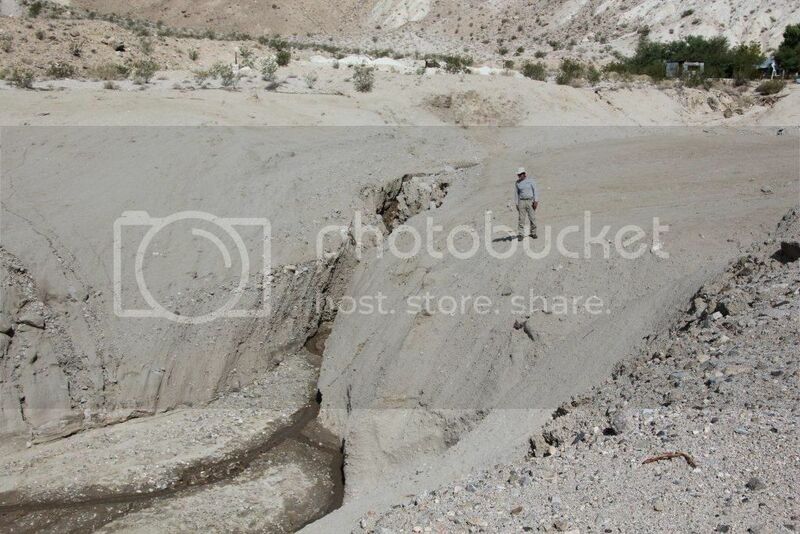 In the canyon itself, there is evidence of water having run over and down the road, but not enough to do any damage. 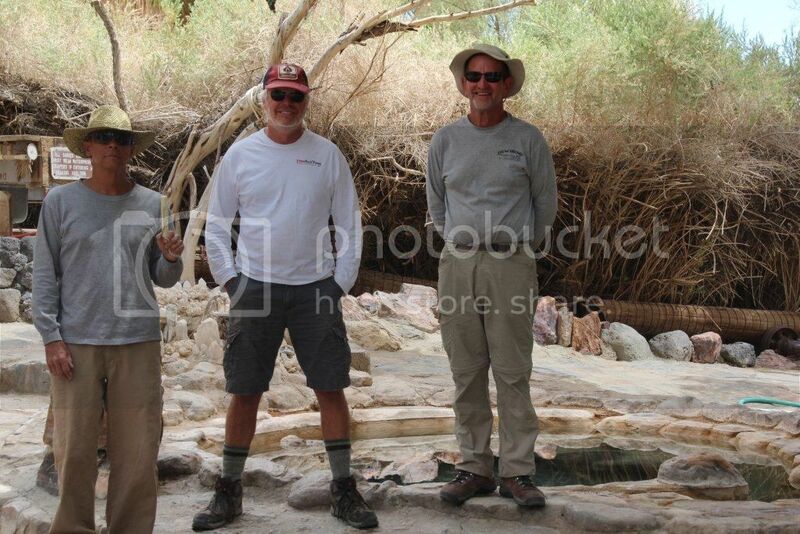 There were no ruts or washouts noted in the canyon. Once through the canyon, the road again improved to what I would call stellar condition. The road was perfect almost all the way down the Three Mile Grade, with no washboard to be found. At that point, if you hadn't been warned what was ahead, you could be forgiven for thinking that this will be the easiest trip to the Springs ever! Your euphoria would be short-lived. At a point 6 miles north of Willow Creek, we started to encounter signs of storm damage. 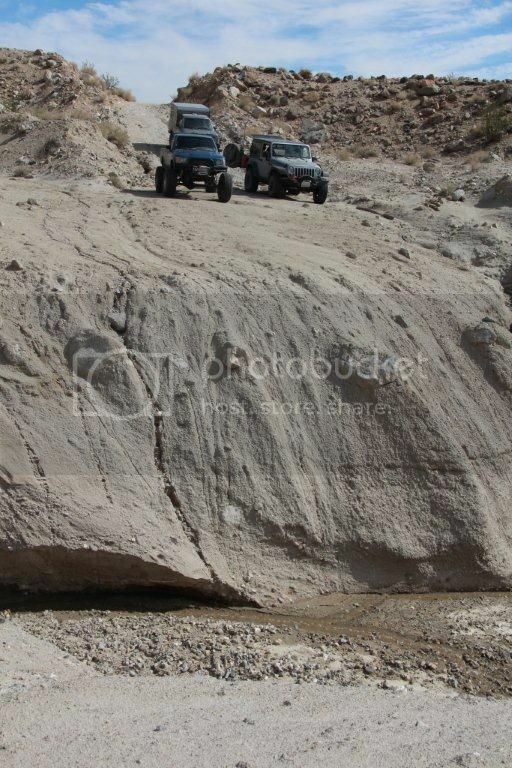 Numerous small to medium washouts that required us to slow to a crawl to negotiate started to appear. From about 5 miles north of Willow Creek, to the big washout, the road varied between “heavily damaged” and “completely gone”. 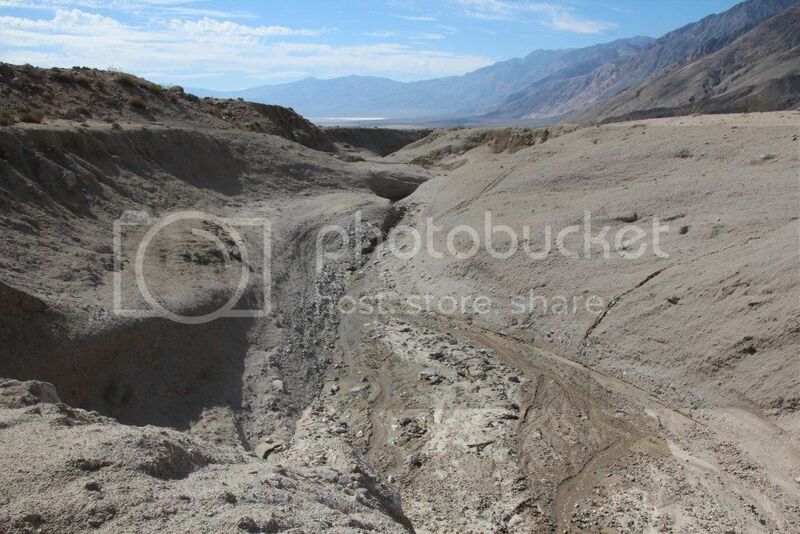 The worst part was at the mouth of Paiute Canyon, where it seems to wash out regularly. Finally, we arrived at Willow Creek and the washout that James reported earlier. It is quite impressive, as you can see. Originally, our plan was to get to this point and turn around and go back. Had I been alone, I would have done just that. However, it only took about 45 seconds to spot a route we could take to get across the washout and continue to the Springs. We needed to move a few rocks by hand, and do some winch work, but we got all three rigs across, with just a little minor carnage. We never drove into the “wilderness”, and didn't destroy any vegetation in the process. 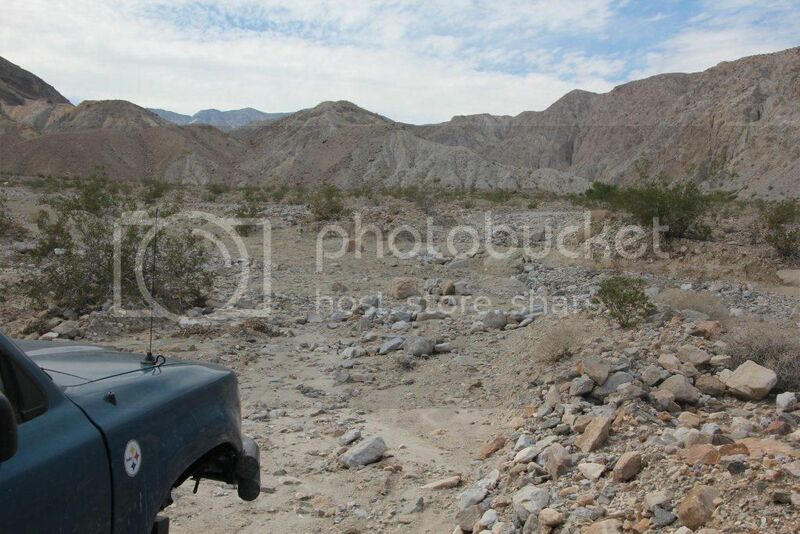 I was busy winching and driving, so I didn't get any pictures. Maybe Mark or Deb will post a few. 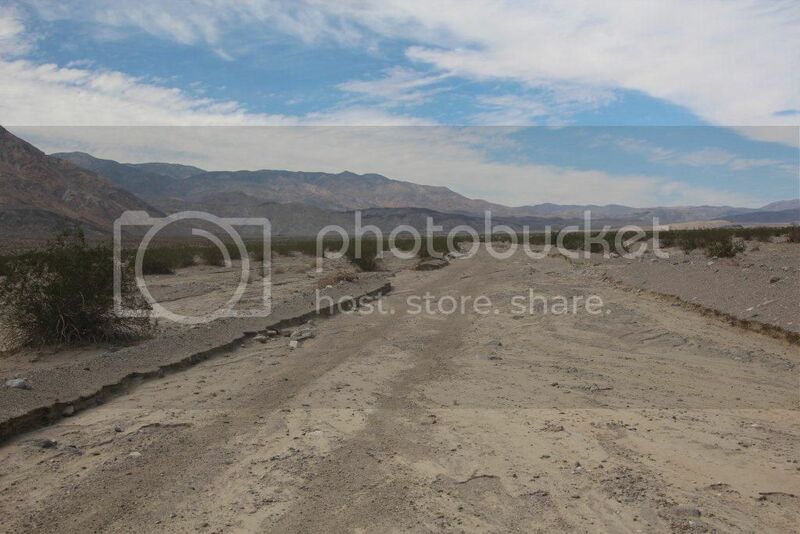 From Willow Creek to the Bat Rock turn off, the road has become one with the wash. The Bat Rock Road was exactly as James showed it. We arrived at Lower Warm Spring at 11:00. Lizard Lee and Kay were the only two souls in camp. Mark and I assisted Lee in the re-erection ( I have to be careful how I say that.) of his wind generator. 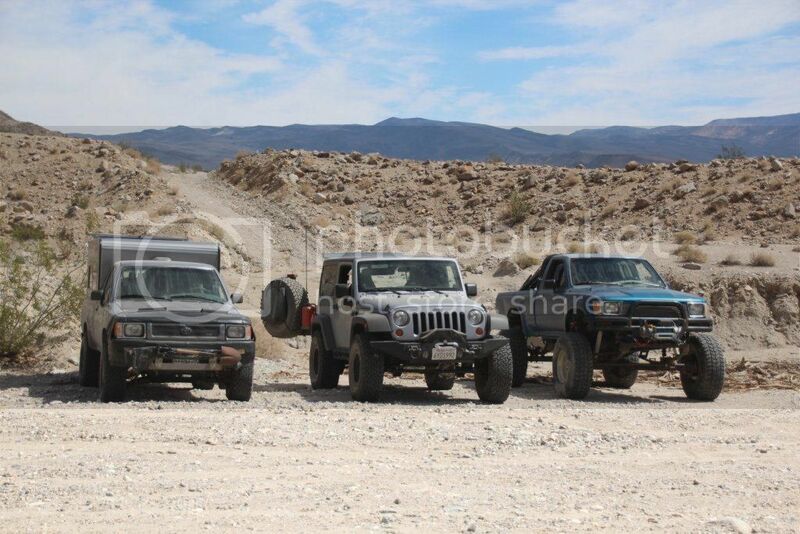 Lee told us that four Jeeps had gone out through Steel Pass on Friday and hadn't returned. They either made it out or we'll find them in the fall. 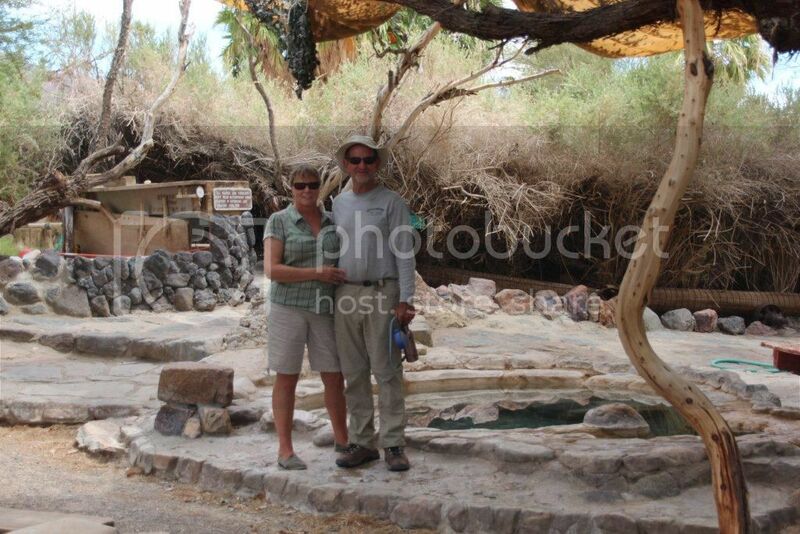 We all had a nice soak in the Crystal Pool, which measured about 92 degrees. After taking a few pictures around camp, we went back out the way we came in with no further issues. 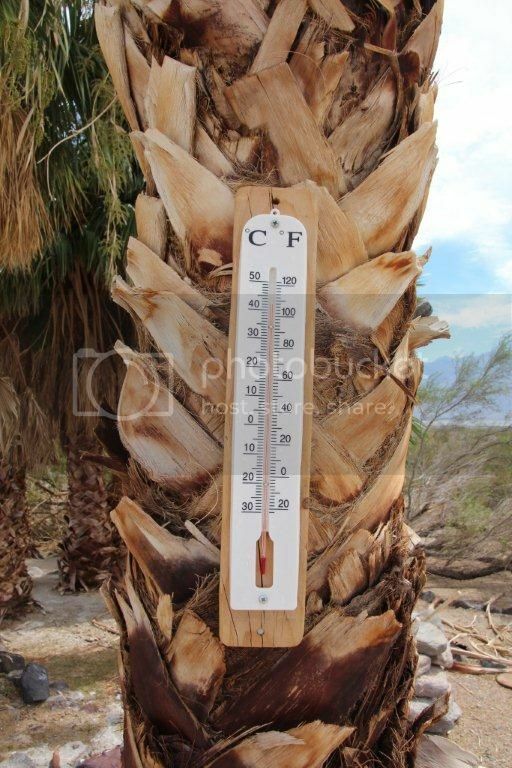 It was a bit warm! 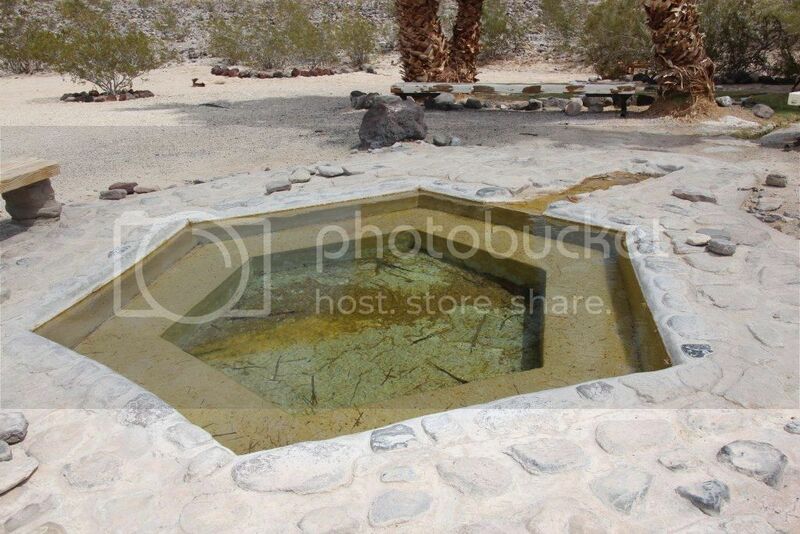 The Wizard Pool needs some attention! Don't believe everything you hear or read in the newspaper or internet. “Impassable” to some is a cake-walk to others. This was a lot of fun, but I don't recommend it. I'll be going in a different way until this road is fixed. It's good to have friends that are as crazy as you are!